We’re super passionate about our pets at stopthefleas.com. So we thought it would be a good idea take a moment and recognize pet blogs who are passionate about our feline and canine friends and who are producing great content on their blogs. 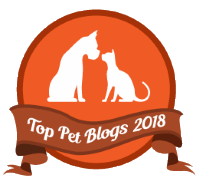 Take a look at our Top 25 pet Bloggers below. Big congrads to our winners below. Sandy Robins is an award-winning, multimedia pet lifestyle expert, published author, pet industry spokesperson and influencer. Her work focuses on the latest trends and innovative ideas that can improve pets’ health and well-being and ultimately enhance the human-animal bond. Robins is the author of The Original Cat Bible and Fabulous Felines: Health and Beauty Secrets for the Pampered Cats, as well as many articles and columns in media such as MSNBC.com, Today.com, Zillow.com, Pet Age, Catster, Westwaysand Consumers Digest. In addition, she has served as a spokesperson for Petco, American Airlines and Motorola, worked as a pet safety advisor for Toyota touring the country to educate pet lovers and did a monthly pet segment on the Weather Channel for three years. Robins has received the Excellence in Journalism and Outstanding Contribution to the Pet Industry Award presented by the American Pet Products Association and was named by Pet Age as A Woman of Influence in the Pet Industry. Written by a certified holistic pet care specialist, Shelby Gottschalk, this blog focuses on natural health and nutrition for dogs– with a dash of cuteness. Amidst the sweet photos of pups in costume you will find invaluable tips on keeping your pets in shape and feeding them the best diet. The blog features extensive product reviews and recommendations. Wildernesscat is all about happy, healthy lives for adventurous cats. The site was inspired by a socially awkward ginger tabby named Wessie, who left a housebound lifestyle to embrace his natural instincts. Today, he loves exploring the forest and chowing down on fresh raw meat. Wildernesscat was created to help all cat guardians enjoy a nature-fueled, harmonious lifestyle that honors cats’ natural instincts while bringing them and their humans closer together. Visit the site to read product reviews, learn about radically natural nutrition, and find lifestyle inspurration. This blog covers topics on all types of pets from parrots to pups. In addition to sharing information this lady likes to give back to her readers with prize draws. Youâ€™ll find lots of opportunities to participate in giveaways from her sponsors. UltimateHomeLife is an ultimate informational resource for dog parents that include your fido’s health, nutrition, breeds, training, and much more. It brings in-depth and well-researched articles offering updated advice on various dog problems. Living With Loulou is maybe a little like turning the pages of the I Ching. Any one day’s blog, if you decide to read it, might have an answer you were searching for! I know that’s pretty serious so let me say, too, that I love to do my blog with humor and silliness and hope you’ll smile or even maybe laugh out loud at some of my crazy ideas about every subject on earth. According to Loulou, a mindful life is: snoozing, kibble, claw maintenance, kibble, napping, kibble, yoga and last but not least, SNUGGLING. To her that is the MOL: Meaning of Life, or one might say, Meow of Life. Ruby Smith, the author of Pet So Fun, is not only an expert at what she does but she’s also a very compassionate human being. Her goal is to provide pets with a healthy, active, and happy life. So it’s no surprise to find tons of useful tips and detailed product reviews on her blog. She loves to share her ideas and thought process about raising cats, dogs, fish, and more. So it’s an excellent platform for animal lovers, pet parents, and the like. The humorous and touching tales of two formerly homeless, yet always extraordinary, felines and their Momma, who’s just along for the ride. Featuring Bear Cat, Ellie Mae, and a slightly worse-for-the-wear Momma. From an original sense of humor – to sharing the tranformational miracles of the love we receive from our feline friends – reading Momma Kat and Her Bear Cat’s posts will have you doubled-over laughing and your heart smiling for a long time after. Finalists in several categories of the BlogPaws Nose-to-Nose Awards – you’ll find a new appreciation for our feline friends – and laugh so hard you cry! Full of information on all types of pets, this blog serves as a great resource of expert advise. 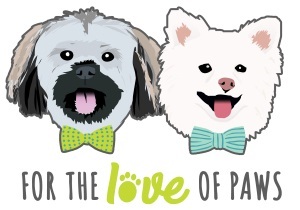 The blog fosters a sense of community by encouraging pet owners to discuss topics together. Furthermore, The Contemporary Pet asks its readers to submit their questions which will then be answered by a veterinarian, pet behaviorist, or another specialist. Indoor Paws is dedicated to improving the lives of indoor cats! Share your experiences with other like-minded and friendly indoor cat owners in our popular Facebook Community or learn while browsing our high-quality resources, dedicated to enriching the lives of indoor cats. Cat Mania is a great resource for Cat Lovers. You can find lots of health tips, advice on behavior and product reviews that help your cat live a long and happy life. It’s a must read blog for cat owners! This awesome blog features articles on pet care, trends, and happenings in and around London, UK. The blog serves as an ideal guide for any pet owner and an indispensible one for any pet owner living in the London area. LabradorTrainingHQ aims at building a positive relationship between dog owners and their Labradors by developing an emotional bond of love and trust. It covers dynamic aspects of owning, training, caring for and providing for Labrador Retrievers. A paradise for any cat lover, this blog is all things cats. The blog features a wide variety of content from serious articles on cat hygiene to fun features on cat artwork. In addition to content, this site comes complete with a shop and chances to win their product giveaways. Written by cat lovers for cat lovers. For any cat owner who considers being a cat lover a hobby this blog will be a delight. From one cat owner to another, this blog documents the learnings of a dedicated cat owner. The author shares all kinds of fun activities from cat food recipes to cat personality tests. This personal blog gets into the nitty gritty of why cats have always been great companions and how they add meaning to countless people’s lives. If you want to connect with a cat lover on a deeper level, Catlines is for you. At furplaytime.com we provide our readers with in-depth information and reviews on the best toys for your feline friends. While cats may become easily amused by just about anything that triggers their curiosity, there are specific toys that will stimulate your kitty and keep them interested in play. Still, not all toys are the same. We look closely at the quality and safety of the toys we review to ensure an enjoyable bonding experience for you and your cat. Kobi Pets is a website created by Larry and Tracy, two passionate pet parents who want to share their experience. This website is perfect for new pet owners who can’t decide how to approach certain problems they encounter as well as which products are the best on the market. They write about dogs, cats, aquariums and exotic pets. Living a pet-friendly lifestyle isn’t always easy. When it comes to finding pet friendly places to eat, off-leash parks, or attempting to travel with your pooch in tow this blogger is a pro. Ingrid King started this blog to help cat lovers create health and happiness for themselves as well as their feline companions. Sheâ€™s gone so far as to create a series of books on the more spiritual aspects of being a cat owner. Her blog is a great resource for those looking for a deeper look at the cat-human bond as well as general health and cat care tips. This blog features beautifully photographed cats, product reviews, and variety of topics ranging from health to cat fashion. The blog promotes cat adoption through their shelter sweetheart series and is a great read for any cat softie out there. 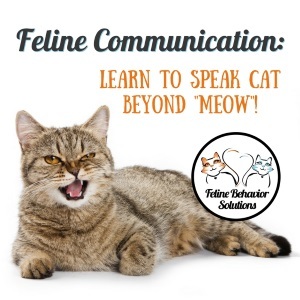 Dr. Marci Koski is a certified feline behavior and training professional who has created this blog for those struggling with their cats behaviour. Through the blog she seeks to educate cat lovers on solutions to common behavioral issues and provide better outcomes for both cats and their owners. This site is all things cats and features articles on health, behavior, and nutrition. The blog is easy to navigate and is great for anyone looking to be a better cat owner. This entertaining and funny cat blog follows one cat lover and her companion, Sandpiper. In addition to providing light, laughter filled content the blog is great source of product reviews and giveaways. Cat Chat is a great blog for those looking to share, laugh and reminisce about their feline friends. Itâ€™s the online equivalent of going for a casual cup of coffee with a fellow cat lover. Definitely one of the top cat blogs around. The fluffy kitty is packed with cool stuff for cat lovers. The blog provides information on cat accessories, DIY, grooming, health and much more. Want new ideas for entertaining your kitty? Look no further, the humorous and funny content on this website are sure to entertain you as a cat owner as well as give you lots of ideas for things to try with your cat at home. In addition to giving you a good laugh, The Playful Kitty is full of important information on cat first aid, health, and holistic wellness. If you’re a fan of all things feline this blog is for you. This blog features cat poetry, art, and games. A blog that is purely about the joy of being a cat owner. Written from a personal perspective, this blog follows one woman’s journey alongside her three cats. If you love cat videos, regardless of whether you own a cat or not, this is the spot. This blog is full of hilarious videos, memes, pictures and stories in addition to cat care tips. Kitten Advice is a blog with stories about anything and everything from a cat’s point of view. This site is packed with informative content for cat and feline lovers from around the globe. Love all of these and yes, would love to be on your list. I’ll email you the info you need and THANK YOU. MERCI. 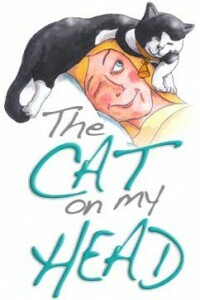 Pingback: The Cat on My Head writes a haiku & joins Thankful Thursday blog hop. Great variety of informative blogs, thanks! Thank you for featuring Wildernesscat on this list! We’re in good company – The Conscious Cat and Little Big Cat are a couple of our long-time favorites. Interesting blog. I like your cat mania concepts. Thanks for giving me a important information on cat health, and holistic wellness. Our topic is little bit different but interesting. We have to provide information about kitty’s pajama party theme. So, you can play this game and perform all party related activities. but The Cat On My Head i like the most. So many of our good friends are on this list – excellent. If you’re open to an update, we’d love to be considered. I’m always looking for feedback! Great Post and nice and valuable list of site. I also have a blog, But I also love to read what other peoples have to say. Would Love to be on this list. I really appreciate the time you took to compile this list. I have learned so much from a few of these dog blogs and I am now following them. On a couple of the blogs, they recommended a dog training course https://bit.ly/2PiU7w4 it worked great for my pup I adopted. I can’t rave about it enough! I like your cat mania concepts. Thanks for giving me a important information on cat health, and holistic wellness. Thanks for writing.